After representing Sangamithra at Cannes 2017, actress Shruti Haasan quits the film. Shruti is no more a part of the film due to “unavoidable circumstances”, the makers of the movie announced on Monday. According to the actress’ spokesperson, she had not “received a proper bound script or a proper date calendar”. “Due to unavoidable circumstances, we are unable to proceed working with Shruti Haasan in Sangamithra,” read a post on the official Twitter page of the banner Sri Thenandal Films. Soon after, an official statement from Shruti’s spokesperson was issued. It read: “Shruti has had to, unfortunately, take a call not to be part of Sangamithra. Knowing it was a massive undertaking and a long commitment spanning over 2 years, she knew the importance of her training, a comprehensive script and proper date calendar. Shruti was part of the film’s entourage at the 70th Cannes Film Festival where they launched the first look posters of the period drama. 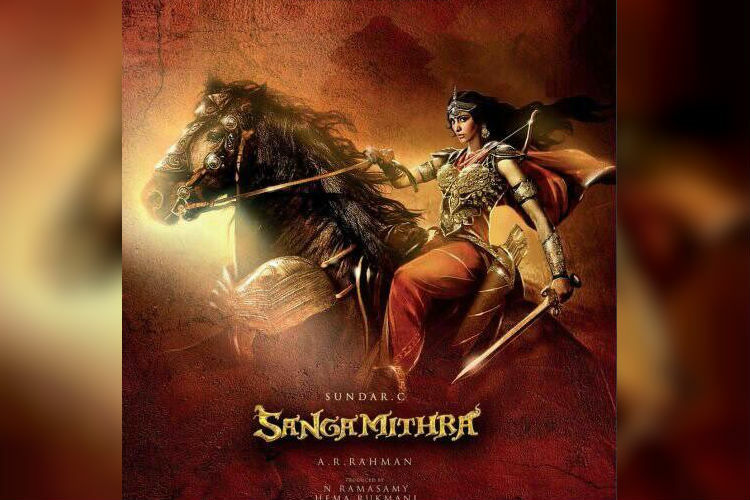 She was reportedly going to essay the role of a warrior princess in filmmaker Sundar C’s mega budget trilingual drama, set in the eighth century AD. She is currently caught up with promoting her film Behen Hogi Teri. Also starring Rajkummar Rao, this is the first time for him to share the screen space with Kamal Haasan’s daughter. Directed by Ajay Pannalal, the upcoming romantic drama is slated to hit the silver screen on June 9. Apart from Behen Hogi Teri, Shruti is busy preparing for Sabash Naidu and her musical associations.